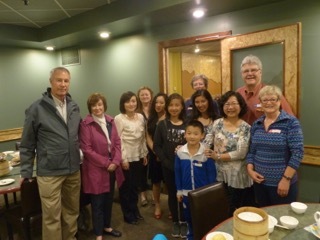 A small but enthusiastic group from the ShouLaShou program met for DimSum lunch at Tai Pain restaurant on Sunday April 24. Four families were represented at the event, hosted by the executive committee. 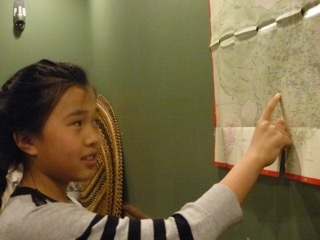 ShouLaShou participants located their birthplaces the map of China and we heard from everyone about their favourite place in China. 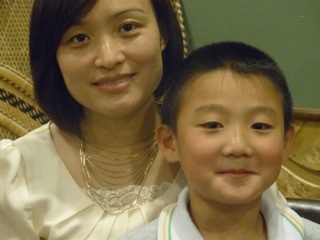 Guest Consul Wang also attend along with her 8-year-old son Tom. 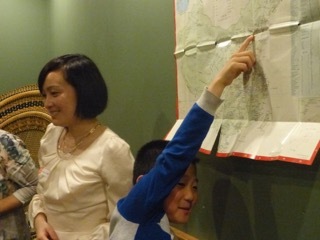 We look forward to another ShouLa Shou event, a reception hosted by Consul General Wang’s wife Lina, at the end of May! A New Way To Connect With Our Children's Heritage. 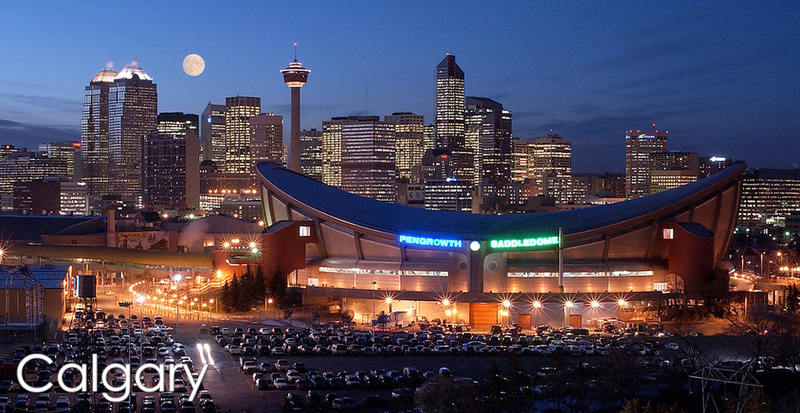 In 2008, the Calgary Canada-China Friendship Association (CCCFA) and the Calgary Chinese Students & Scholars Association (CCSSA) from the University of Calgary established a joint program between the two associations. 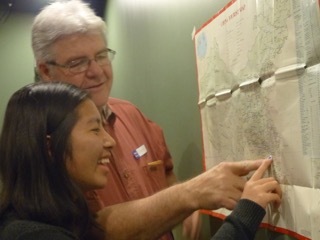 The Program is called Shou La Shou (Hand in Hand), a name which represents the friendly and informal atmosphere of interactions in the program. 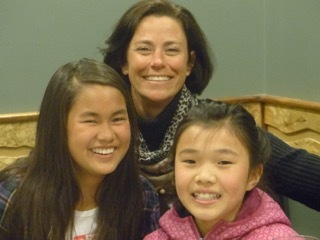 CCCFA will sponsor a program linking families who have adopted children from China with members of the CCSSA, who are Chinese university students living and studying in Calgary. The program provides a cultural link through social interaction between the adopted children and their Chinese heritage by way of a Chinese University student sharing stories, personal histories, songs, games, etc. 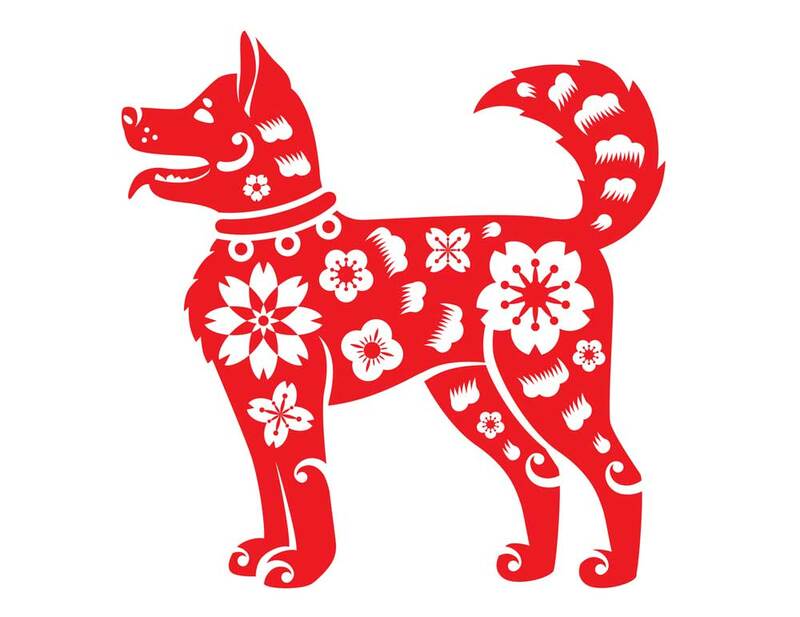 It is a natural extension of CCCFA's aim of fostering mutually beneficial Canada-China relationships and is hoped to assist in fostering the adopted childrens' pride in their country of birth, as well as provide feedback to the Chinese people that our children are happy and well-loved in their adopted country. To participate in the Shou La Shou program, families with adopted Chinese child/children must be a Family Member of the CCCFA. There are no other required costs to the participants. In addition, CCCFA will occasionally arrange social gatherings for program participants, especially at the beginning of each year. If you wish to have your family participate in the Shou La Shou program, please fill out the form included with this letter and return it to The CCCFA Programme Co-ordinator .